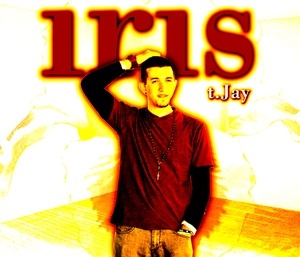 On Dec. 18, 2011, TJ Pompeo released a nice 14 track album called, Iris. It has at least eight tracks definitely worth listening to. This is the 1st album available on Sola Tunes from TJ Pompeo. Some of the best tracks on Iris are New Me (feat. 3 Spikes), Phone Home (feat. TdotRoy), Sound the Alarm, Who Am I (feat. Shalyssa Mitchell), Fantasy (Cover of "Fantasy" by Da T.R.U.T.H. ), No One (feat. Amanda Davis), and Righteous Love (feat. Crimson). The full 14 track list is: #1 Who Am I (feat. Shalyssa Mitchell), #2 New Me (feat. 3 Spikes), #3 This I Pray (feat. Ashley Respress), #4 Fantasy (Cover of "Fantasy" by Da T.R.U.T.H. ), #5 Phone Home (feat. TdotRoy), #6 No One (feat. Amanda Davis), #7 Sound the Alarm, #8 We Go (feat. Unashamed, KAJE, J.Mase), #9 Righteous Love (feat. Crimson), #10 Breakthrough (feat. Musixbox, SMACK), #11 Take a Stand (feat. Nathaniel Parrott), #12 The Meaning of Purpose, #13 Find the Answers (feat. Unashamed), and #14 Reason.